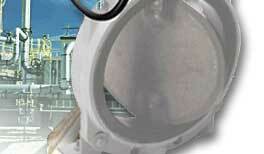 The worlds largest supplier of valve actuators for manual and motorizable input applications. Founded in 1962 as a manufacturer of valve actuators, Mastergear has quickly become the industry standard. Mastergear Worldwide serves valve makers all over the world from our four international manufacturing facilities with many agents and distributors. Our products are used extensively in oil, gas, water distribution and treatment, chemical processing and many other applications. MASTERGEAR offers the most extensive product line of manual and motorizable actuators in the industry including quarter turn actuators, geared actuators manual actuators and valve actuators among others. A highly effective alternative to Opperman products, Mastergear handwheels can be used in submersible applications.